Like you, I want to solve the bullying problem once and for all. That means we have to get our ducks in a row. From our training to our expulsion policies, they must be aligned. First, we have to understand the real answer to bullying. If we implement the training recommended, we are going to be enacting discipline policies a lot more often. That’s a good thing. It will only take a couple of examples to get the message across. Unfortunately, most of our anti-bullying policies don’t align with our basic human rights – to defend ourselves. This needs to be corrected. There is no logical explanation why a person can defend themselves in their home, on the street, but as soon as they step on the hallowed ground of a school campus, that right vanishes. Most policies suspend any student engaged in a physical altercation. They premise this on the legal concept of Disorderly Conduct – a mutual agreement to engage in the fight. Bullying situations are different. On the face of it, fighting back is self-defense. To stop bullying we have to stop punishing students who defend themselves. Ask yourself, what are you teaching long term when you punish students who defend themselves? 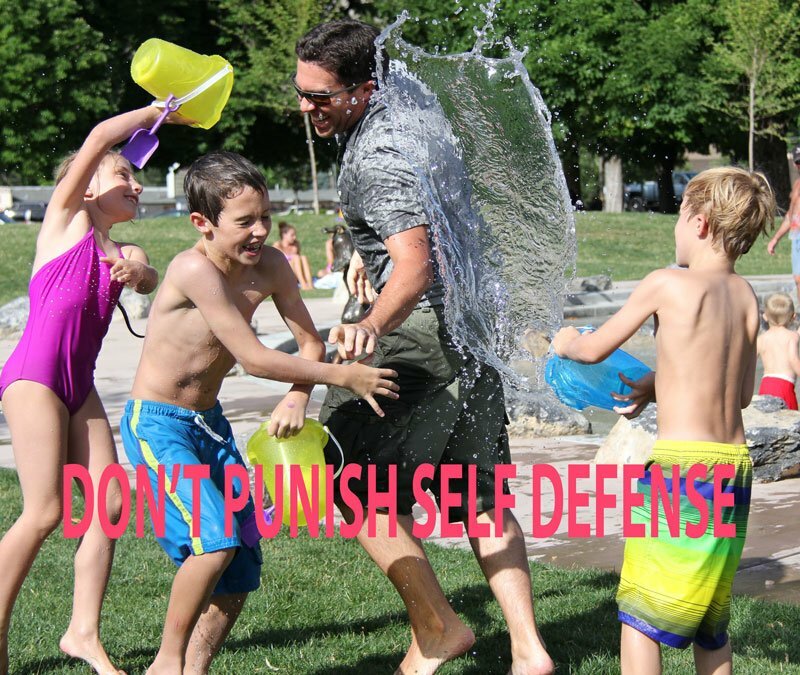 You are teaching them not to defend themselves. Not to stand up for themselves. To let people push them around. Sure you are teaching them that violence is not the answer, but you are also teaching them that when it comes down to it, to the physical altercation, you should suffer all the consequences. In our article on the real answer to bullying, we explore why it is important to teach fight skills. That only works well if our policies align with what we teach. And that means we cannot and should not punish students who stand up for themselves. Those that use good judgement, use assertive communication and then defend themselves from physical harm. So, review your policies, implement the right training and let’s end bullying together. If you would like to end bullying in your school, contact us about our program.